Currently found in Northland, Auckland and Waikato with one record from Poverty Bay. Shell colour ranges from off-white to grey to pale yellow. Darker patterning, spots, or stripes may also be present. Banded conical snail originated in the Mediterranean but has spread to several countries. First recorded in 1983 in New Zealand, it is now commonly found in Northland, Auckland and Waikato but only once elsewhere and that is in Poverty Bay. However, its distribution may be greater that this and is likely to expand. There appears to be two generations per year. 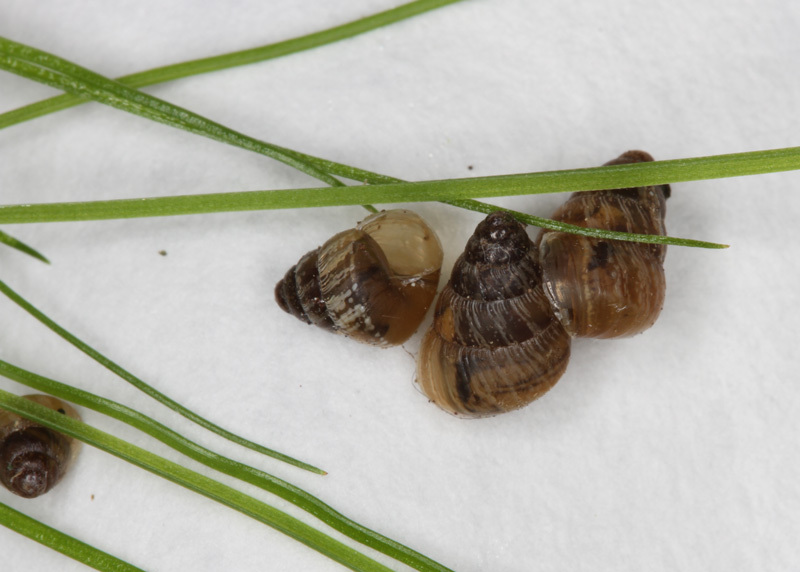 Few snails are found in mid-summer but this may be due migration from crops and pastures to roadsides or other sheltered aestivation sites. Eggs appear to be laid in spring and again in late summer early autumn. 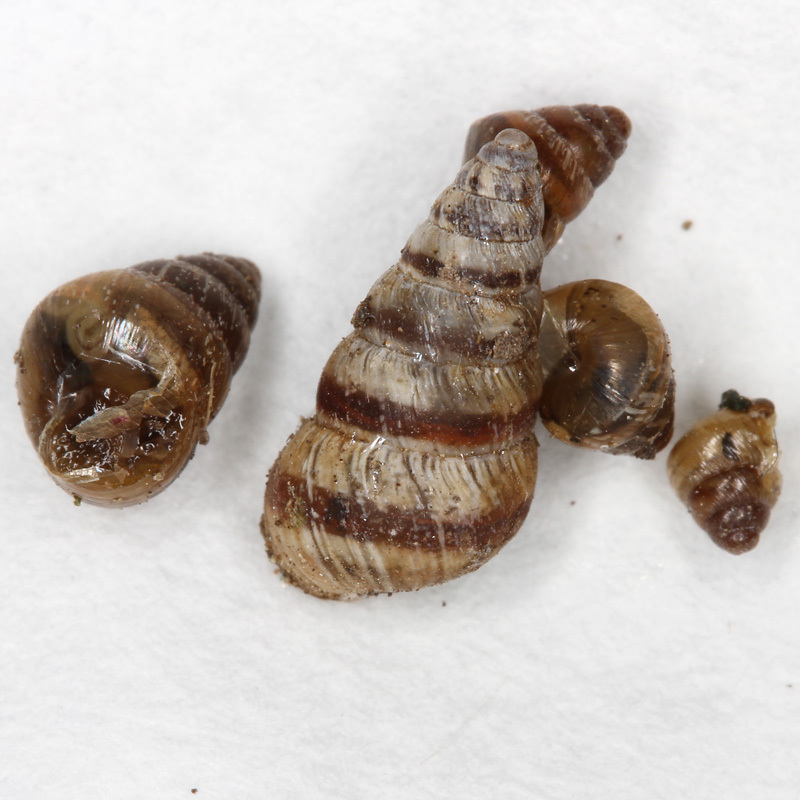 Banded conical snail appears to have a wide food range but has only been recorded damaging plantain, chicory and cabbages in New Zealand. It will feed on dead plant material, lettuce, broccoli and silver beet suggesting other field crops (brassicas and fodder beet) may also host populations. The main impact on plantain and chicory crops is noticed around October when snail numbers are high and they are feeding voraciously. Established and seedling crops are attacked. Damage appears as small “shot” holes in leaves. In Australia they have been recorded damaging cereal seedlings and in summer collect in the stalks of cereals and maize clogging machinery during harvest. It is possible that banded conical snail could be a vector for lung worm in New Zealand but this is not proven. There are no established control technologies in New Zealand. In Australia trials investigating standard molluscicide baits have given variable results with the explanation that although all the standard active ingredients are toxic to the snails, banded conical snail adults are not attracted to the baits only encountering and feeding on them by chance, while immature snails don’t appear to feed on the baits. 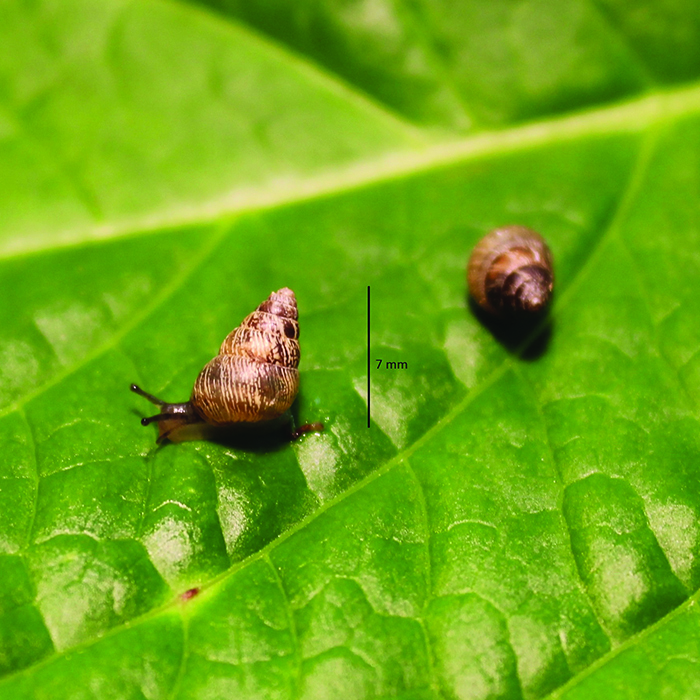 Weed control can reduce the number of snails infesting crops. Stubble management and the presence of large amounts of organic matter also have variable effects on subsequent seedling crop damage. Stubble burning reduces snail numbers markedly.